B-Line Straight section lay-in wireway is suitable for cable and wire junction, distribution and termination. It features 14-gauge steel construction with ANSI 61 gray acrylic electro-coated finish for corrosion resistance. It has screw type cover secured to the body with plated screws. Wireway measures 12-Inch x 12-Inch x 120-Inch. 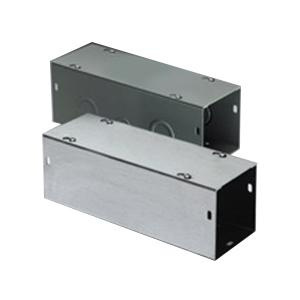 It has NEMA 1 rated enclosure for safety. Lay-in wireway is UL listed and CSA certified.